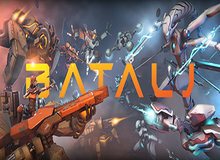 BATALJ (Closed Betta) - BATALJ is a fierce online turn-based action strategy game. BATALJ is a fierce online turn-based action strategy game. With three factions, multiple heroes and units you can try out different combinations, discover synergies and explore strategies that fit your playstyle. Your custom-made squad consists of unique units with a wide range of versatile abilities that can change the tide of battle. BATALJ has a completely new take on simultaneous turns. Each round consists of a planning phase and an action phase where you schedule your squad’s actions and watch them execute your orders. Your ability to strategize, and outsmart your opponent will be crucial. BATALJ will challenge you with its depth and fast gameplay. The game is available for Beta, but the winners of our contest will get it for free. How would you improve BATALJ (Closed Betta)?